Hey there everyone! 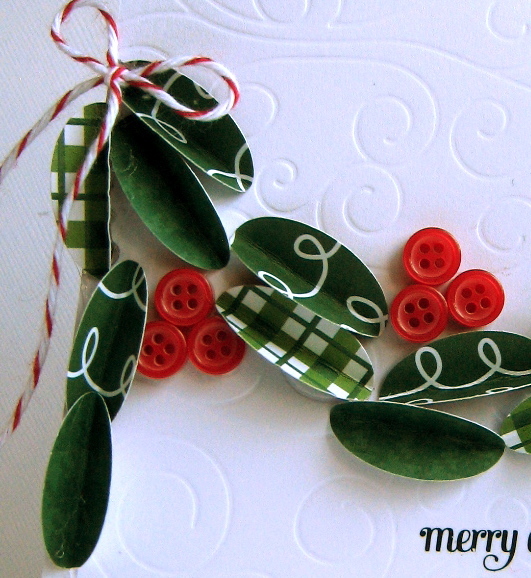 I'm here to show you how you can make an easy peasy Christmas card with texture, dimension and your Epiphany Crafts Round 25 tool. I like to play with our fabulous punch tools and experimenting with new ways to use them to get the most bang for your book! I used paper from the Pebble's Welcome Home line to create this fun card. 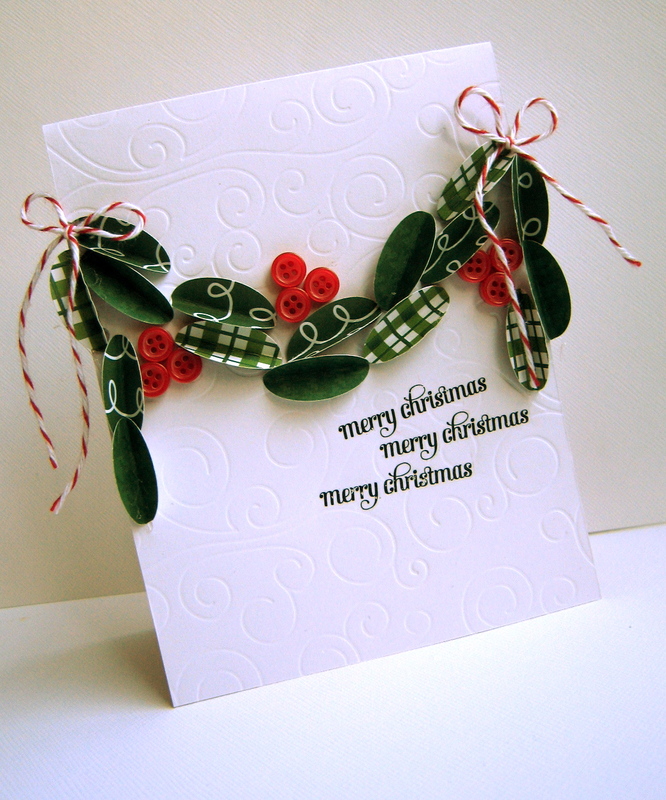 To get the fabulous texture on the paper, just create a card base from Wrapped With Joy embossed paper. To make the garland swag, punch ovals from Merry Christmas, Santa's List and Santa's Workshop, fold the ovals in half and adhere them to the card in a garland manner. Add some Candy Dots buttons for holly, a few "merry christmas" rub on's, two jute twine bows, and VOILA-An easy peasy Christmas card! Hope this inspires you to play with your own Epiphany Crafts tools in new ways! Emily--this is soooooo beautiful! I wish I was as crafty and clever as you!!! LOVE LOVE LOVE!! !